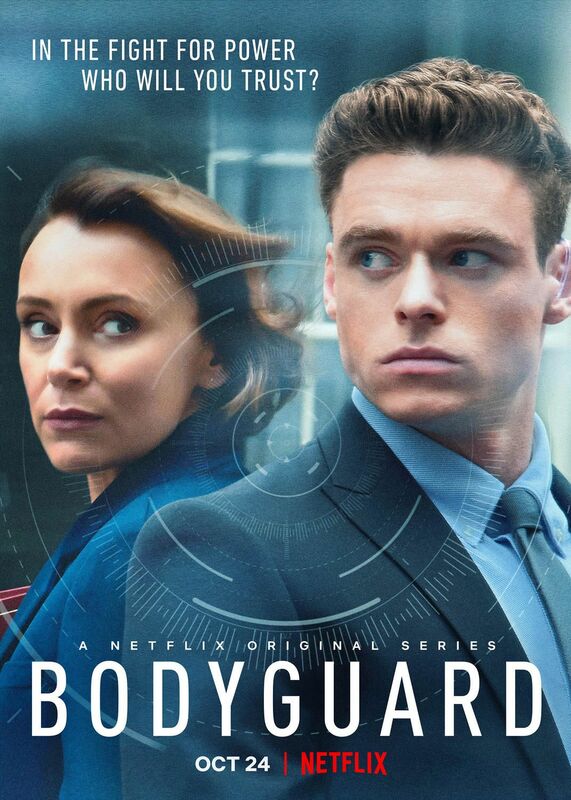 SYNOPSIS: Set in and around the corridors of power, Bodyguard tells the story of David Budd (Richard Madden), a heroic, but volatile war veteran now working as a Specialist Protection Officer for London’s Metropolitan Police Service. When he is assigned to protect the ambitious Home Secretary Julia Montague (Keeley Hawes), Budd finds himself torn between his duty and his beliefs. Responsible for her safety, could he become her biggest threat? This isn’t usually the space for TV series, but ‘Bodyguard’ is excellent enough for us to make an exception. Already the most watched BBC drama since 2008, ‘Bodyguard’ is now available to stream on Netflix, and proves to live up to its hype and more. Much more, in fact, because you’ll instantly be caught up in its intriguing, intoxicating, and often pulse-pounding, mix of politics, treason and terrorism. ‘Game of Thrones’ alum Richard Madden stars as police sergeant David Budd, who in the opening episode of this six-parter, is on a train to London Euston with his two children when he suspects something awry might be going on. Soon enough, he is confronting would-be female suicide bomber Nadia (Anjli Mohindra) in one of the train’s toilet cubicles, and carefully coaxes her not to go ahead with her mission, even as counter-terrorism forces are scrambling outside to contain the situation. Most of the first episode happens on the train itself, but director Thomas Vincent (who also helms the next two episodes) screws the suspense so tight you’ll be relieved when it finally lets you catch your breath. As David returns home with his kids to his wife Vicky (Sophie Rundle), you’ll sense that something else is not quite right with his marriage and with the man himself. It only becomes clearer slightly more than halfway through the extent of his disorder, but suffices to say that the post-Afghan war vet had not entirely left the war behind him. His heroic act earns him the assignment of protecting Home Secretary Julia Montague (Keeley Hawes), a hawkish politician who is in the throes of pushing through a controversial piece of legislation RIPA-18 that has become the magnet of much public criticism. Within the Home Ministry, Julia has also earned the ire of her Minister of State Mike Travis (Vincent Franklin) and the police counter-terrorism head Anne Sampson (Gina McKee) for allowing the Security Service (led by Stuart Bowman’s Director General of MI5 Stephen Hunter-Dunn) to interfere in the investigation into Nadia and her associates, which both opposed to it fear will only become the norm if the Security Service is given enhanced powers under RIPA-18. It doesn’t help that the police end up almost bungling another terrorist act, and that Julia is herself targeted by a sniper on a roof, ostensibly confirming her suspicions that the police are either incompetent and/or compromised. Amidst all this, the clandestine relationship between David and Julia complicates matters even further. Following her near-miss with death, Julia gets intimate with David, and the couple soon spend many more nights together in each other’s embrace, even while maintaining their professional distance in the day. But both find themselves guilty of withholding information from each other – Julia knows she was aware that the school which David’s children attend could very well have been the target of the terrorists’ next attack, and true enough the foiled attack happens just metres away from the school entrance; on the other hand, David is recruited by his boss Chief Superintendent Lorraine Craddock (Pippa Haywood) and Commander Sampson to report on Julia’s whereabouts, especially any contact she has with the Security Service. It’s a byzantine plot all right, but creator/ writer Jed Mercurio keeps all the pieces spinning impressively, leaving you guessing at every turn just who is responsible for what. Oh yes, everyone has their own agenda here, and it’ll be a mistake to think that a single actor or group of actors is behind each and every one of the incidents. Not to forget too that the politics isn’t simply within the Home Ministry between the police and the Security Service, but also between Julia and the Prime Minister, to whom she is possibly launching a leadership challenge for No 10 Downing Street. And without giving anything away, you should also prepare yourself for a literally explosive twist midway into the series, which dramatically alters the course of all involved in the latter half of the season. If the first three episodes are styled as political drama, then the latter three unfold like an investigative procedural, which director John Strickland takes over the reins of without ever losing momentum or pace. Besides the aforementioned characters, other key supporting ones thrown into the mix include a shadowy Intelligence operative known as Longcross (Michael Schaeffer), two counter-terrorism detectives Deepak Sharma (Ash Tandon) and Louise Rayburn (Nina Toussaint-White), Julia’s ex-husband and Member of Parliament Roger Penhaligon (Nicholas Gleaves) and organised crime leader Luke Aikens (Matt Stokoe). Until you stop to take stock of all these characters do you realise just how intricate and elaborate this web of conspiracies Mercurio has woven, and it is to his credit that you never feel lost within at any point. Notwithstanding, the show belongs in large part to Madden, who skilfully adjusts his performance from restraint to rage over the course of the six episodes. There is palpabl sexually charged chemistry between him and Hawes, which makes his transformation in the latter half of the season even more believable. But even though much of the story unfolds through Budd’s perspective, it’s probably more accurate to think of the entire series as an ensemble, comprising notable contributions from a who’s who of British TV acting talent. Whether intentional or not, there is a very strong female presence here, and it is a sheer delight watching McKee and Haywood spar with Franklin, Bowman and Gleaves. There is plenty to enjoy and savour about ‘Bodyguard’, which taps into our zeitgeist of divisive politics, terrorism and controversial national security laws. Even though we’ve seen many US TV shows tap into similar themes, there is still something truly propulsive, gripping and stimulating about this latest iteration, which explains just why it has become a cultural phenomenon within the UK. Sure, some of the specific political references may seem a little less familiar, but we’re very sure the appeal of this densely but tensely plotted political/ terrorism drama extends way beyond its home shores. Like we said at the start, this usually isn’t the space for a mini-series like this, but the fact that we’ve made an exception shows just how blown away we were by this, and we dare say this is well worth the time you would otherwise have spent on three other less outstanding cinematic features in the theatre.